Ring the bell...it's time to play school! 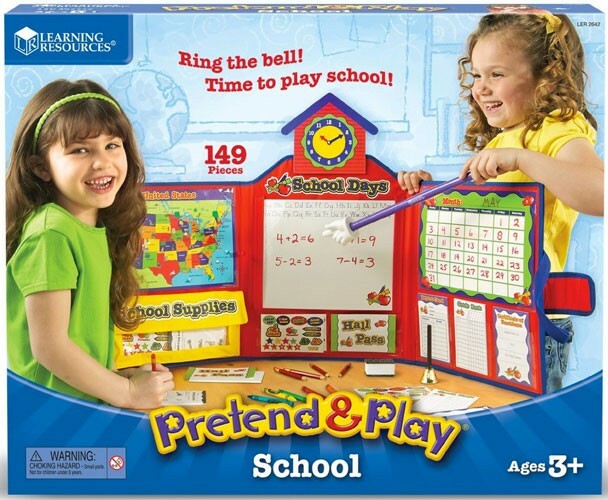 The Pretend & Play School Playset from Learning Resources lets kids set up a classroom and assume the roles of teacher and students. 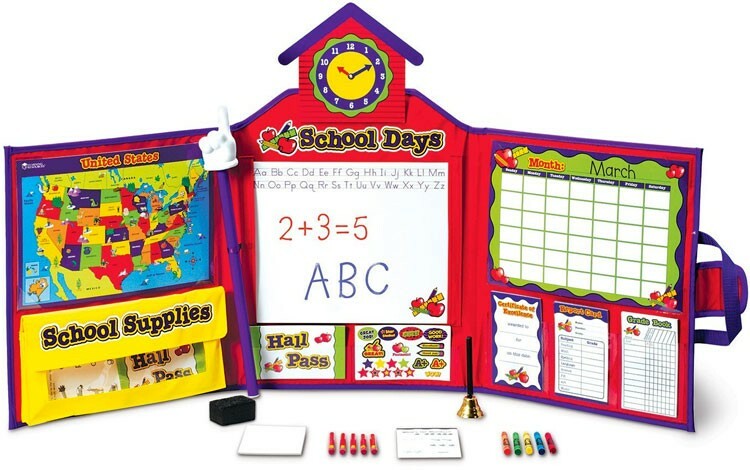 Fun and educational playset includes a two-sided map, tri-fold board, pointer, clock with movable hands, dry-erase board, two-sided calendar with weather, schools supplies pocket, eraser, note pad, hall passes, pencils, worksheets for Spelling and Math, crayons, awards, hand bell, "Good Job" stickers, and report cards. When play time is over, everything folds up together for easy storage. 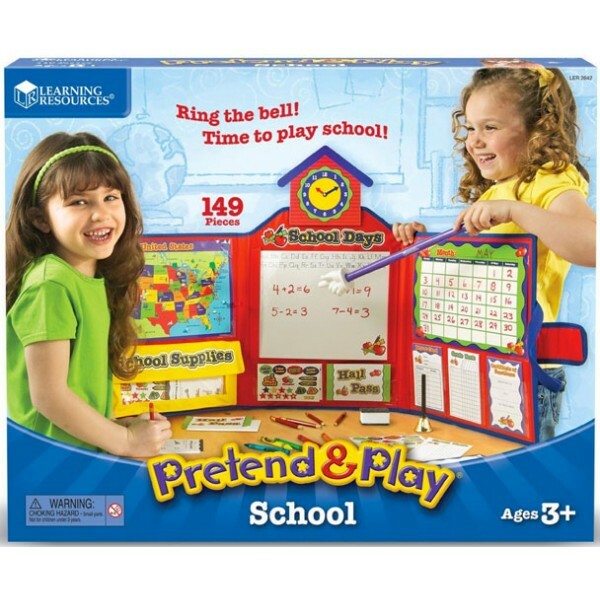 Additional "teacher supplies" are available in the Pretend and Play School Teacher Supplies set, sold separately. For many pretend play toys for children, visit A Mighty Girl's Pretend Play section.